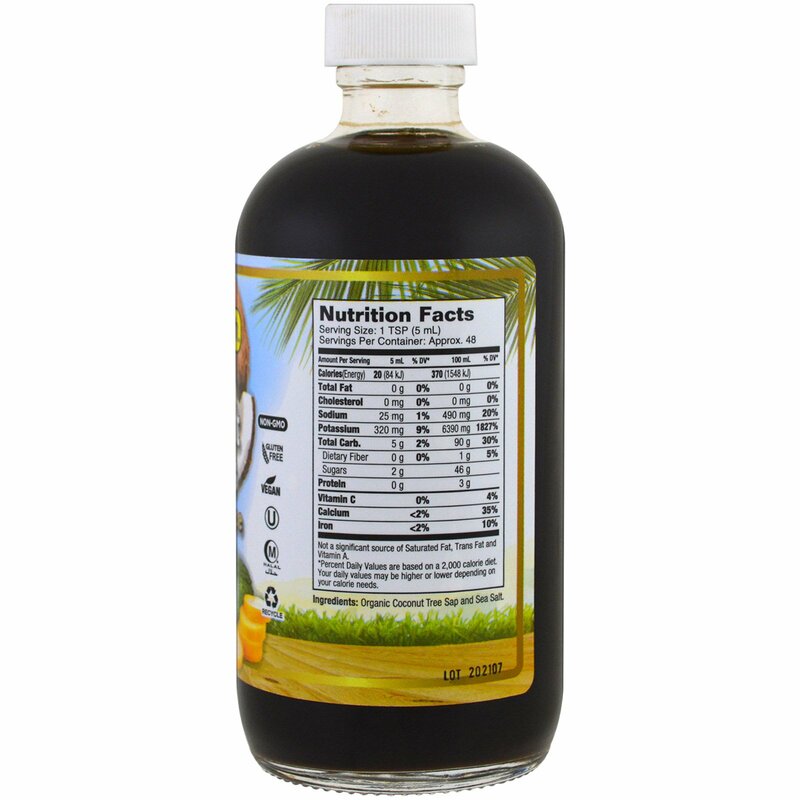 Our Organic Coconut Aminos are made from naturally aged organic coconut sap and sea salt. 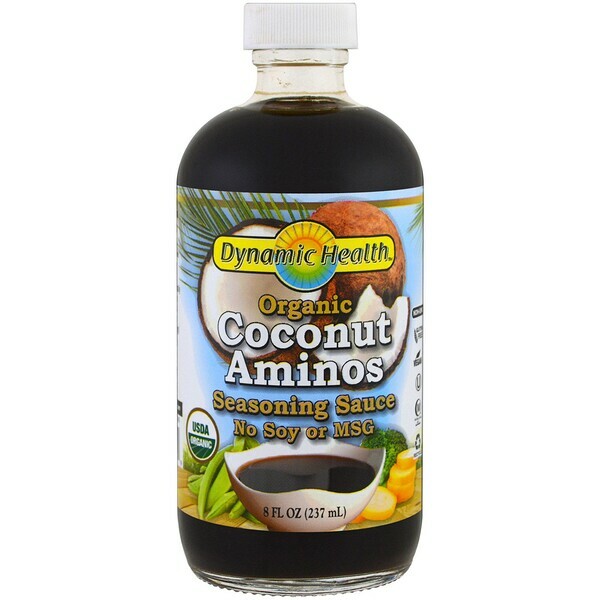 It contains trace amounts of naturally occurring amino acids, minerals and vitamins and is rich in savory flavor. This product is truly a distinctly delicious seasoning! 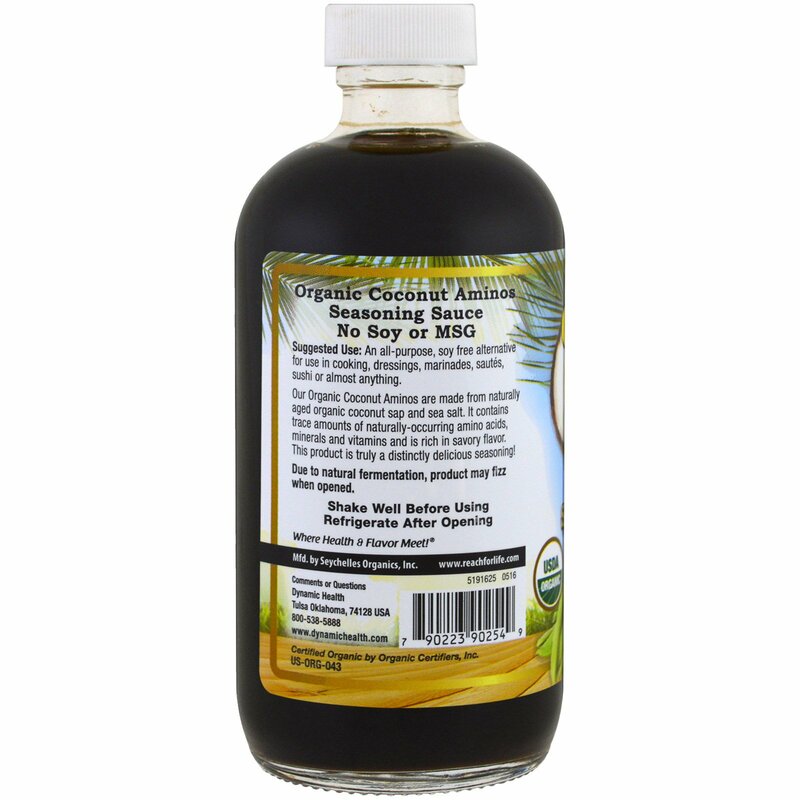 An all-purpose, soy free alternative for use in cooking, dressing, marinades, sautes, sushi or almost anything. Organic coconut tree sap and sea salt. Due to natural fermentation, product may fizz when opened.